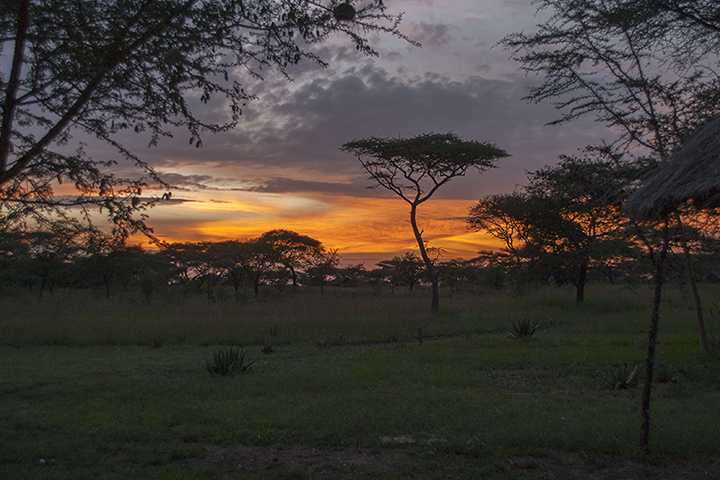 Landscape photography is not something I’ve spent a lot of time on. I’ve been much more interested in portraiture and street photography. Since we’ve been staying at the Sitka Center for Art and Ecology in Otis, Oregon and previously in the Point Reyes area of on the California coast, I’m forcing myself to do more landscapes. The challenge in landscape photography is to think big but see the compositions. Hi Tim. 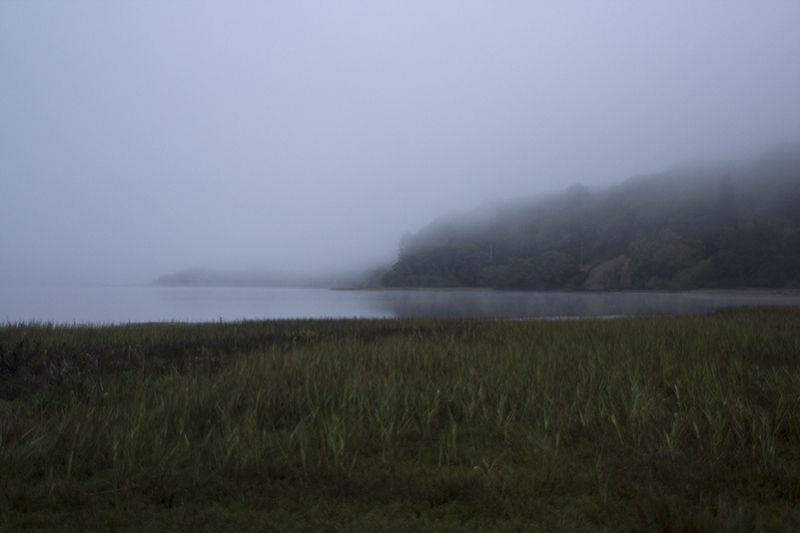 I love your misty landscapes….at Neskow and the one in the forest…very atmospheric, and the view of the bridge from the restaurant…that’s one I would like to have taken. Thanks John The photo taken in the restaurant was one of those chance occurrences. I’d brought my camera because we were having dinner with our son and his wife. They were in San Francisco on business. 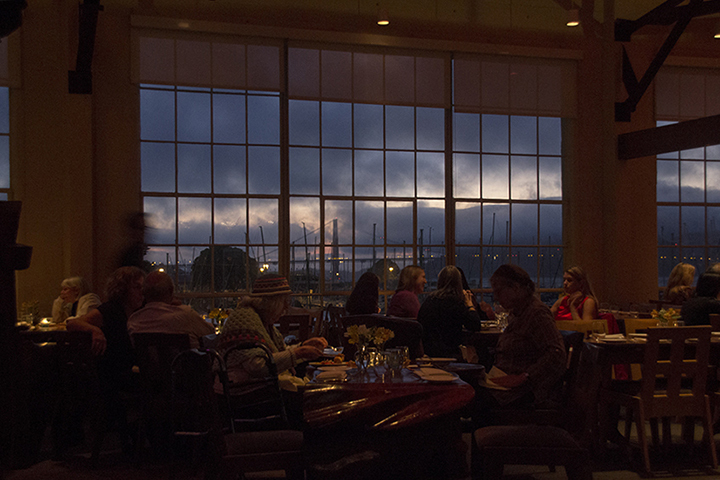 While waiting for them I noticed the Golden Gate Bridge through the windows. I didn’t have a tripod with me and it found a table to rest the camera on as it was very low light. In post processing I played with the cropping but ended with almost the entire image in the end. I too like it. Thank you. It took a bit of time on the Oregon coast until I got the feel for the landscape. Now that I’m back in Northern California I’m going to miss that unique environment. Thank you for wondering around my blog and for your comments. Thank you. That is greatly appreciated. Thank you. 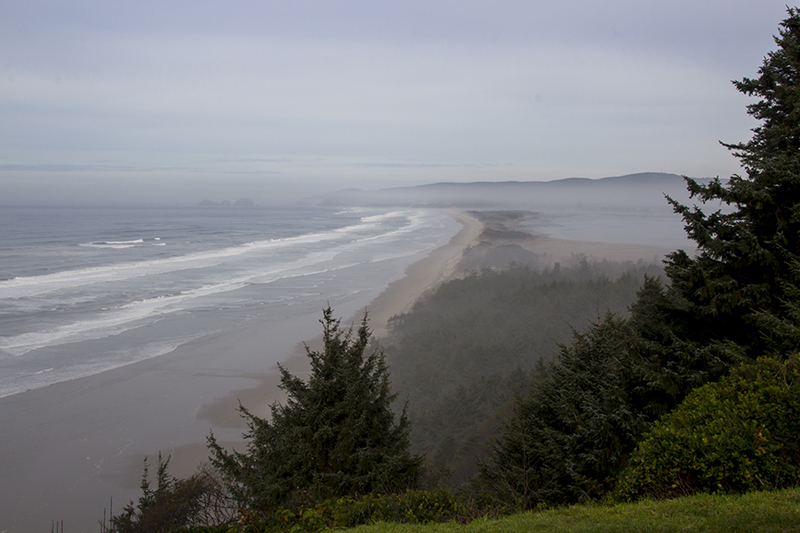 I’d not been too comfortable with landscapes before staying along the Oregon coast. Now I miss the diversity and beauty. Great pictures! I particularly like the Cascade Head shot. Thank you. It’s a wonderful place. Some beautiful landscapes here. Beside well composed, they re very atmospheric and moody! Lovely feel for landscape – as a desert dweller I only encounter water in small quantities! Thanks for the mini-visit to the Pacific and for visiting Artsyberger. Thank you for your kind words. The Oregon coast is quite beautiful. My three months there had a positive impact on my photography. 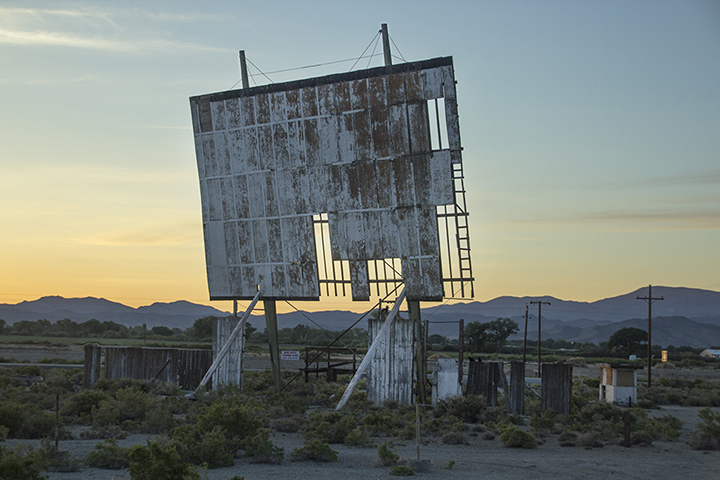 I love your Iverness,Ca photo and the Yurington, NV urban landscape. 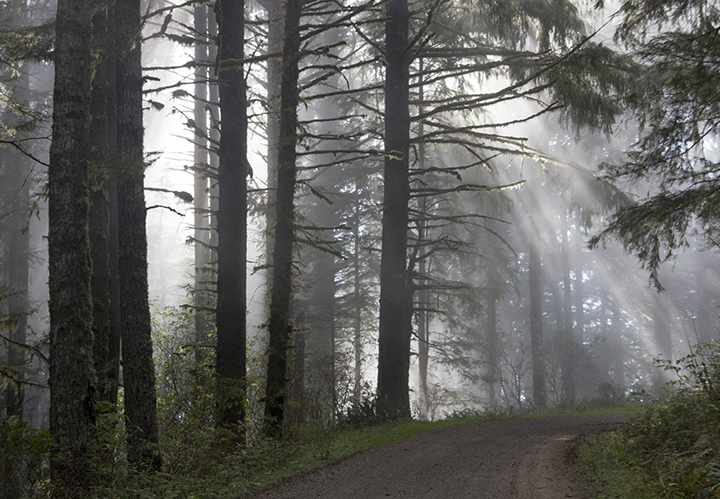 And the photo of the Suislaw Forest in OR on your nature page is stunning! Beautiful work. I envy all the traveling you and your wife have done! Thank you for your kind words and taking the time to wander around my blog. Getting there is a pain but being there can be enjoyable. More travel next year – back to Taiwan and then maybe Turkey. Plans are still being worked out. Thanks again. Beautiful captures…well done! 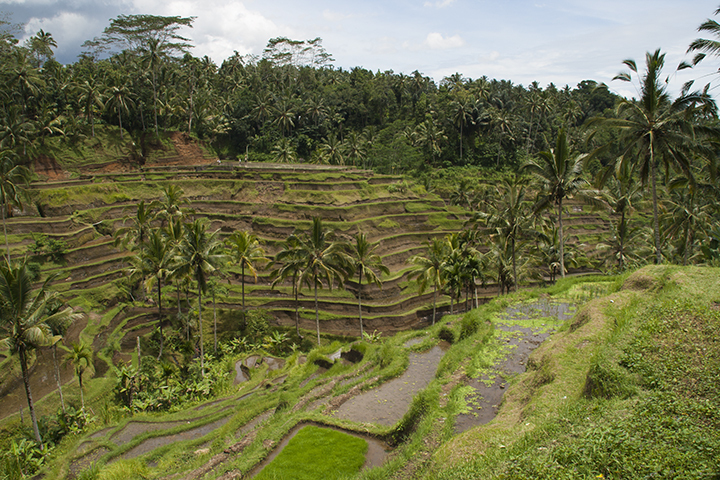 I would love to visit the “Bali – Terraced Rice Fields”…hopefully one day! Ty for sharing! You are welcome. Bali is a wonderful place to visit. I don’t encourage visitors to spend much time on the beaches, too touristy. 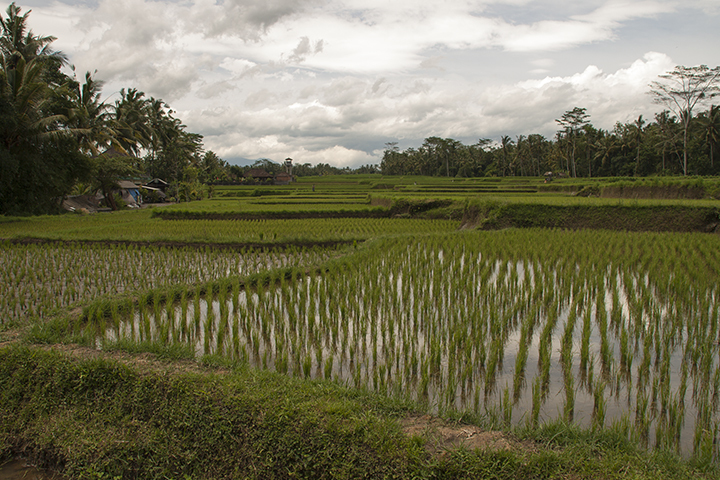 Of all the countries that I’ve visited in Asia, Bali is on my return list. Rachel, thank you for your kind words. The Oregon coast is a place where it’s difficult to take a bad picture. I would image that parts of Colorado are the same way. Best to all of your photographic endeavors. Good to hear from you. The environmental issues are important and relate to landscape. I would think that you cannot ignore the changes. Recording some of those is important. My wife’s (Jane Ingram Allen) curatorial projects in the US and Asia have a particular focus on environmental issues. http://janeingramallen.wordpress.com As the person that documents these I’m face to face with some of the issues. Best with all of your endeavors in this area. Keep looking. Thank you for your positive statement about my landscapes photos. Yes, the Philippines Islands are a wonderful place. I’ve visited a number of times. The last time was to Baggio City for a month in January 1996. It was an artists in residency that unfortunatley no long exists. We continue to have many contacts with Filipinos through our stays in Taiwan. Warm and friendly people. Thanks again, and best with all of your writing efforts. Jake, thank you and a appreciate you reblogging my Landscape Portfolio. Also thank you for looking at my blog and following me. Wonderful. I shall enjoy viewing all your work. Love the one with what appears to be an old drive-in movie in Nevada! You’re right. I got up before dawn to get this in the right light. Great set of images you have here, I especially like the first one with the pier and the beach, also the third one with the beach and the hills. Also I like the “hanging garden” one. Great set. 🙂 OOh I also liked the hot air baloons on the front page but couldnt comment on this one. Thank you so much for spending the time looking and commenting on the images in my blog. Thank you. Yes, I agree with you. The Central Oregon coast is particularly beautiful. My three months in the Lincoln City area had a significant image on me and how I photograph. Thanks for you comments. Your landscapes are really great, they have a really documentary feel. Thank you. I also appreciate you deciding to follow my blog. The Oregon landscape pictures are mesmerizing! Thank you. Oregon had a strong influence on me. Nice works! I could stare at these awesome landscapes for hours… keep shooting! Thank you kindly. You’ve got some great images. Wonderful landscapes. I’m glad I came back. Thank you and I greatly appreciate you coming back.